Although we were not in school for St Osburg’s feast day on Saturday 9th September, we have been remembering and celebrating the life of our school and parish saint. 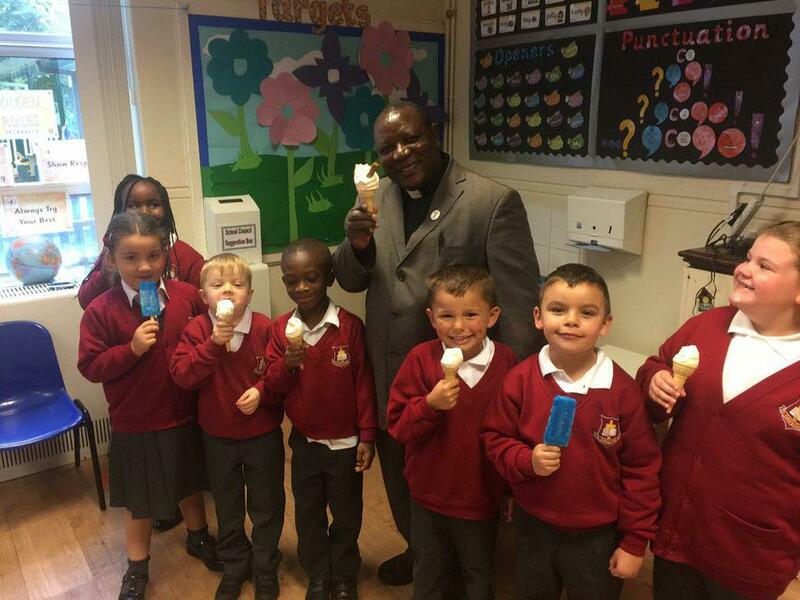 On Thursday Father Pontius and Year 6 led us in a whole school celebration of Mass and we enjoyed ice creams to continue the celebrations. We ask St Osburg to bless us all during this new academic year. St Osburg – Pray for us.